Support DocumentationAssessor FAQWhy does it say that my assessment is a draft? 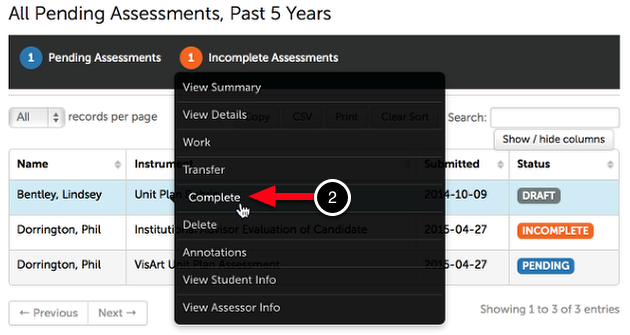 When completing an assessment, assessors have the option to save their work as a draft. 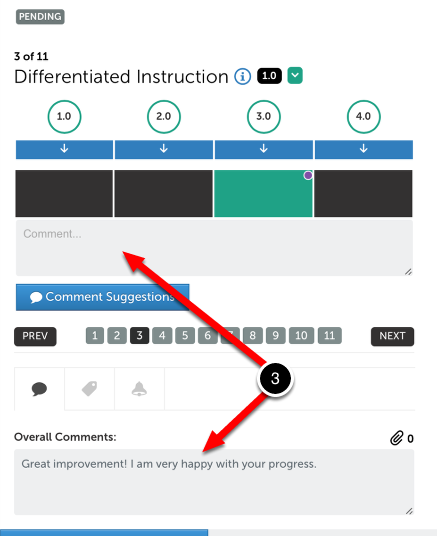 The "Draft" feature allows you to provide scores for all criteria, and return at a later time to provide comments for each criterion, and/or an overall comment. If an assessment does not have performance levels selected for each criterion in the assessment and "Draft" is selected, it will still appear incomplete. If the assessment does have a performance level selected for each criterion, however, it will appear as a draft. This function is to allow for the addition of comments after scores have been provided. 1. 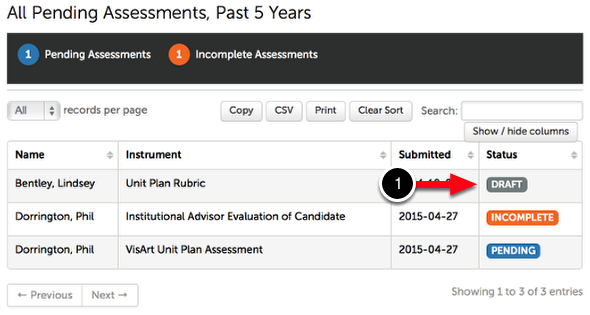 If you have an incomplete assessment, it will appear in your Pending Assessments list with a grey Draft tag. 2. Click anywhere on the draft assessment to access it's options. Select Complete. 3. Make any changes to criterion-specific or overall comments. 4. Click Save instead of Save as Draft. Your draft assessment will not appear complete. Prev: Why does it say that my assessment is incomplete? Next: What are held assessments? How do I release them?